Shop for the cause. The following companies and brands partner with OCRA to raise awareness and money for ovarian cancer. Learn about each company and their unique products, then click through to their websites to start shopping for the cause. Wardrobe need a refresh? Now you can shop high-end, limited quantity designer goods online at deep discounts, all while supporting the fight against ovarian cancer. Browse our exciting collection of shoes, accessories, and apparel for women, men and children, from top brands including Kenneth Cole, Sigerson Morrison, Alexander Clancy, Terez, Flagpole Swim, Ramy Brook and more. 100% of proceeds benefit OCRA. Shop at Shopify and Poshmark. When Lori Newcomb was diagnosed with late stage ovarian cancer, Lori and her husband Chris, Co-founder and CEO of Newk’s Eatery, saw an opportunity to save women’s lives through their rapidly expanding restaurant brand. Based in Jackson, Miss., Newk’s Eatery is leading the next generation of fast-casual with its culinary-driven menu prepared in Newk’s open-view kitchens, featuring made-from-scratch soups, fresh tossed salads, artisan pizzas, hot toasted sandwiches and desserts. Founded in 2004, Newk’s currently operates and franchises more than 100 restaurants in 13 states and is gaining national attention for commitment to community. The couple started Newk’s Cares —a year-round ovarian cancer awareness movement—in 2014, which has since raised nearly $500,000 for ovarian cancer research. In April 2016, Newk’s Eatery called its guests to action, uniting partners and patrons across the brand’s 100 restaurants to raise money for research through OCRA. Through in-store and online donations, Newk’s guests rallied behind the cause, surpassing the $100,000 goal and funding critical research to put an end to ovarian cancer. In September 2016, Newk’s “went teal,” switching out their signature black cups for teal ones, as well as permanently replacing the brand’s traditional red straws with teal straws. 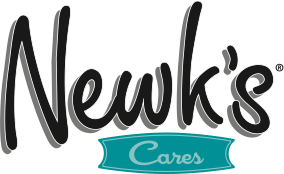 Newk’s is also making its stand against ovarian cancer an enduring one by unveiling “Newk’s Cares” water bottles— replacements for Newk’s 2-O water bottles. 10₵ from every water bottle sold year-round is donated to OCRA, giving diners a chance to join the fight against ovarian cancer 365 days a year. Crown of Light’s passion and commitment to eliminating ovarian cancer sparkles as much as their perfectly handcrafted diamonds. The premium 90 facet Crown of Light diamond is a triumph of cutting expertise fused with ingenious design. From June 1 through December, Crown of Light is donating 10% of the purchase price from selected earrings, rings and bangles from their beautiful Berry Collection when you shop on www.crownoflight.com. ONEHOPE Foundation creates products that inspire people to indulge themselves while doing good. People often buy ONEHOPE wine because of what ONEHOPE stands for, to make an impact in the world. Their commitment to quality wine is as important as their commitment to the causes they support, like OCRA. ONEHOPE Foundation offers a variety of wines to support OCRA. Each bottle purchased educates a minimum of 50 women about the risks and symptoms of ovarian cancer. 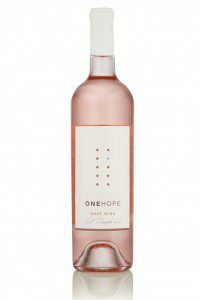 Purchase ONEHOPE Wine Reserve Tier Sonoma County Rosé and you will be educating 100 women on their risks and symptoms of ovarian cancer. And every bottle of ONEHOPE Wine Reserve Tier Sparkling Rosé you purchase educates 200 women on their risks and symptoms of ovarian cancer. Coconu was founded to help women lead healthier, happier lives by offering 100% safe and organic health and beauty products. This dedication to health and happiness includes helping women increase their capacity for intimacy, connection and confidence, and it also includes partnering with causes that that are aligned with this mission. Coconu founders, Sarah Warnick Belzer and Taylor Warnick know the impact of this disease firsthand as it took the life of their mother, and their children’s grandmother, when she was just 58 and only one year after diagnosis. This despite Kathy Warnick’s commitment to personal health and her work in the medical field. Coconu believes the way to make progress against ovarian cancer is through supporting research in this area, so the company chooses to give back by donating 10% of all purchases of its organic personal lubricants to OCRA in the name of Kathy Warnick, a woman who gave tirelessly to her community. SKICKS is making an impact on ovarian cancer, with their Ovarian Cancer Awareness sneakers. Made with high quality canvas, breathable vent holes, and foam pad insoles, and featuring a signature teal ribbon, these tennis-style low top sneakers are a fashionable way to show your support for the cause. In addition to raising awareness, they also fund the fight, as SKICKS is donating 15% of the purchase price of every pair of teal low-top sneakers to OCRA. Let’s SKICK ovarian cancer together! 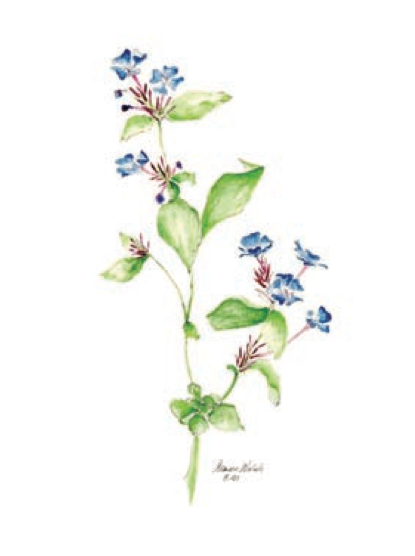 Just One Miracle prints and sells note cards to raise funds to support ovarian cancer research. The company was founded by Alison Walsh in 2000 as part of her personal fight against ovarian cancer. More than 50 original seasonal flower and wildlife card designs, most designed by Alison herself, are available. 100% of JOM profits (about $5.00 per box) is donated to OCRA to find a cure for ovarian cancer. Since 2000, Just One Miracle has donated over $175,000 to OCRA.